And every year, one week before Christmas, I start making gifts. I figured embroidery would be faster than knitting. Right? I started these Wednesday, December 17th, finished them Wednesday, December 24th, and I’m very thankful it’s only the nuclear family for Christmas. I wanted to experiment with something new (always a great idea on a deadline – not so much) and dove into the world of blackwork embroidery. 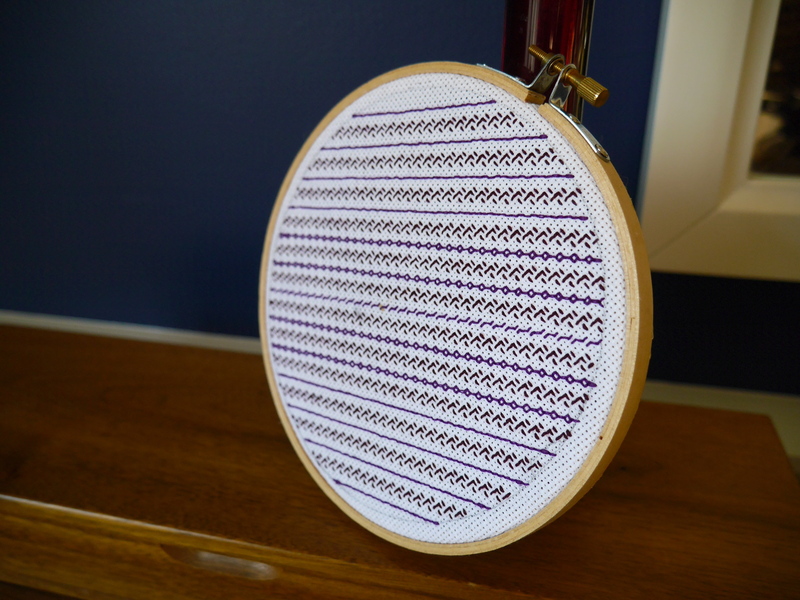 Very simply, blackwork embroidery is a style of embroidery that used black thread against a white or ivory background. This creates a high contrast between the fabric & the stitching. 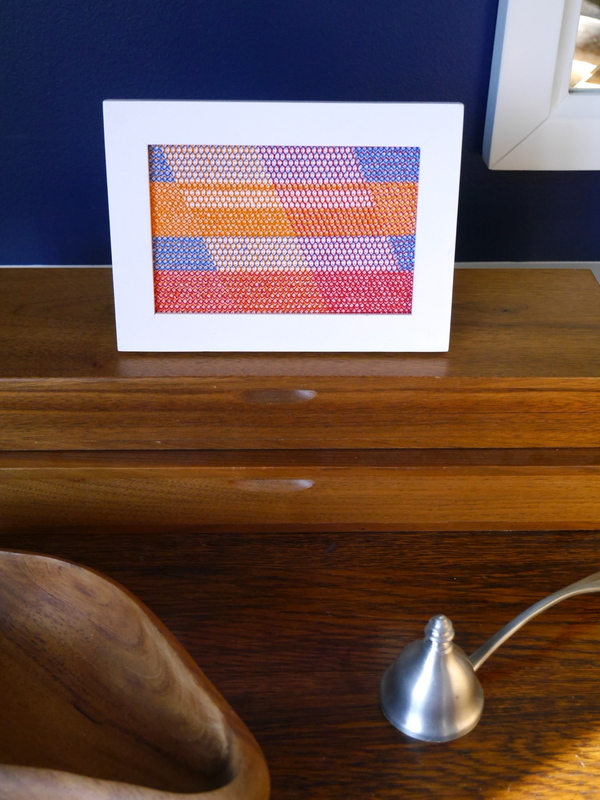 The designs are generally geometric (yes please! 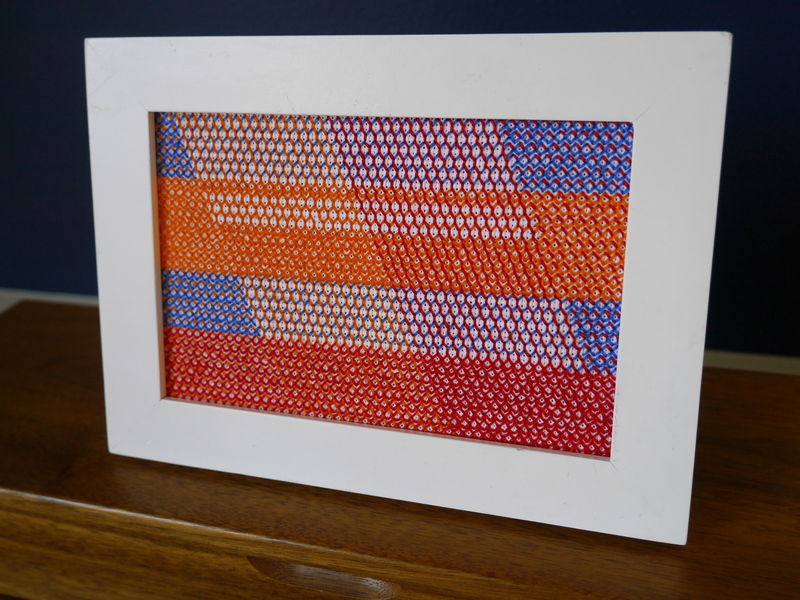 ), and use small repetitive “fill stitches” to fill in areas and create the design. Blackwork embroidery was popular in England in the 1400s (think around the same time as King Henry the VIII of England – the one with all the wives) and is said to have been influenced by Catherine of Aragon – Henry VIII’s first wife, it was used as decoration on cuffs, ruffs & sleeves. More information about embroidery techniques & blackwork embroidery here. 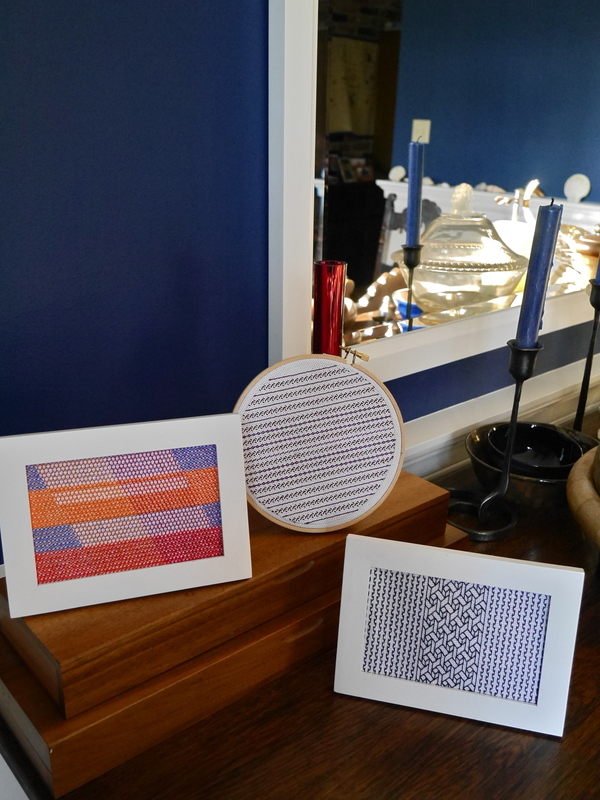 I did nothing resembling traditional blackwork embroidery – but rather took some fill stitches, and the stitching technique (blackwork embroidery uses a comparatively small number of embroidery stitches) and played around a lot. I played with both stitches & colors, some of these are traditional fill stitches where I only worked 1/2 or 3/4 of the motif, and obviously traditional blackwork embroidery doesn’t involve multiple colors. -all of these were stitched on 16-count Aida, with 2 strands of embroidery floss. I love dipping back into embroidery every now and then, and I definitely want to do more blackwork embroidery in the future – including delving further into the history & tradition of it – but really, it probably would have been faster to just knit everyone something. Beautiful, Holly! I love embroidery too .. and had never heard of blackwork…amazing! Thanks Max! 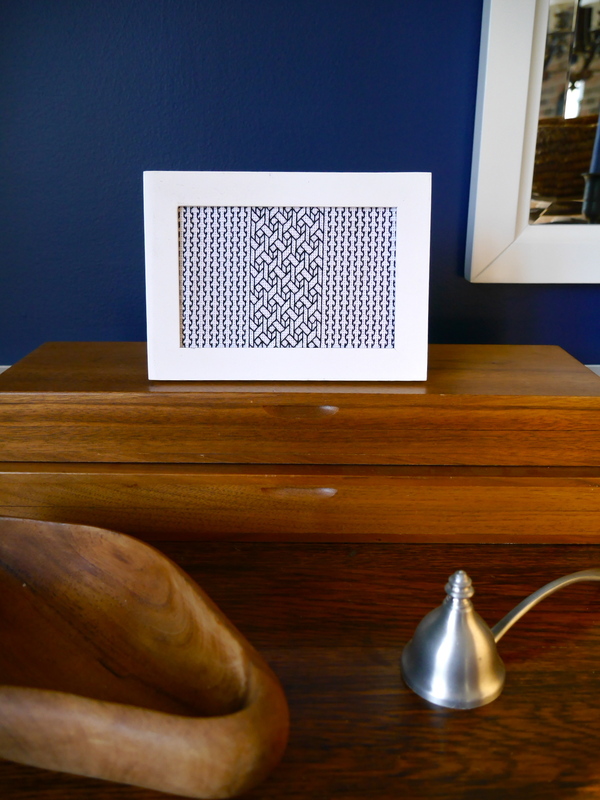 There are some absolutely amazing blackwork pieces out there! Wow! I’ve never really been interested in embroidery before, but these geometric pieces are incredible! Love them. This is stunning! 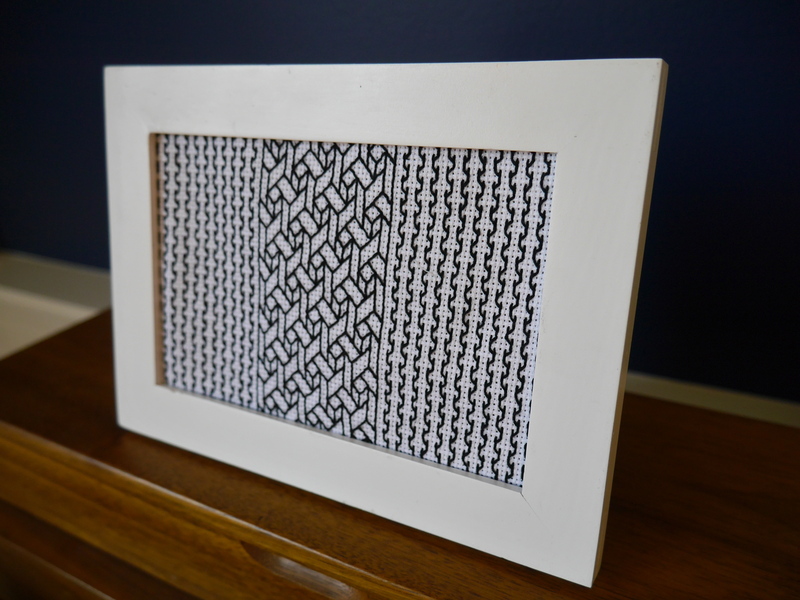 I never heard of blackwork embroidery before, but I adore geometrical shapes, so it sounds perfect for me. Thanks Tahnee! 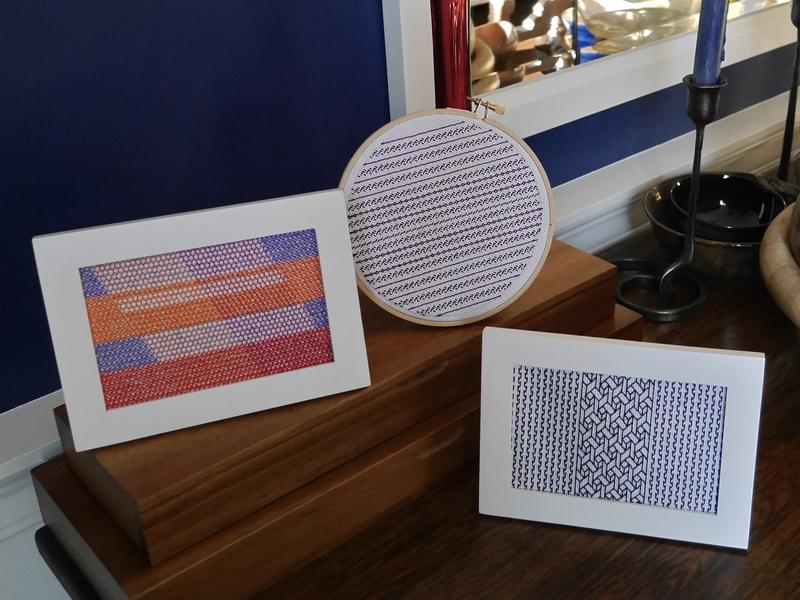 I would really encourage you to check out blackwork embroidery – there are some stunning pieces out there. And if you now some embroidery basics, it’s not to hard to get started.